How to Be Persuasive on ! 1 DVD · 1 hr. 21 mins. 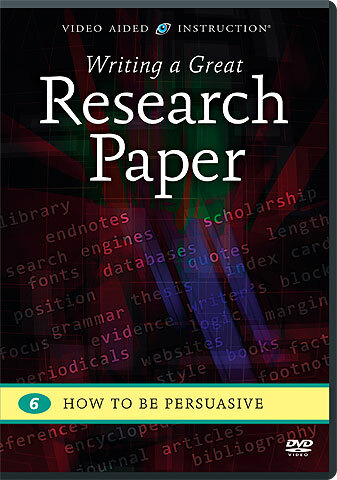 Most research paper assignments require students to articulate a thesis and make a persuasive case in its defense. This exceptional program will teach you to develop logical arguments, support them with evidence, deal with opposing points of view, and avoid logical fallacies and other errors. Plus, you’ll learn other proven ways to make your writing more convincing and powerful!